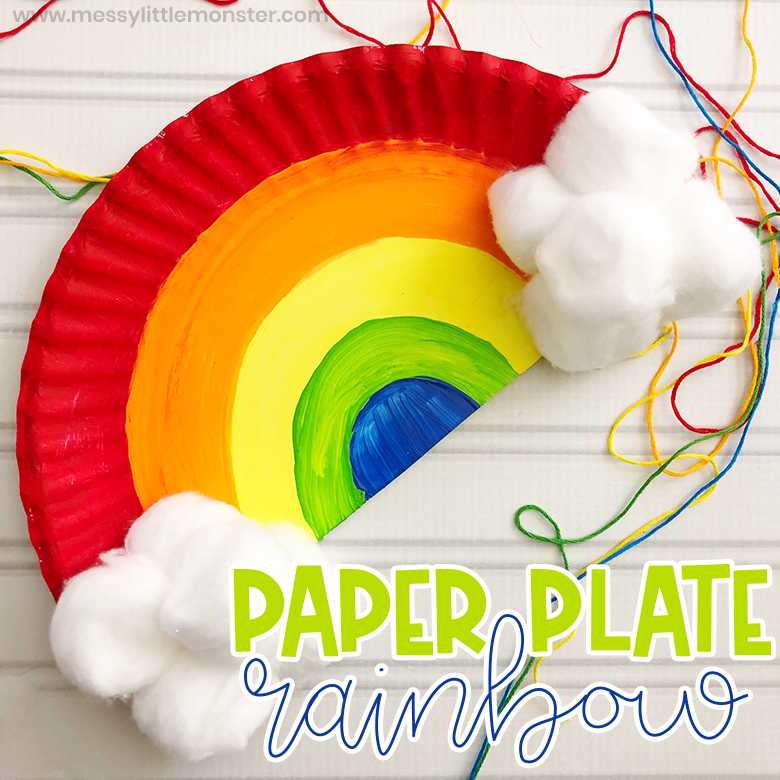 Paper plate crafts are a TON of fun for toddlers - and this paper plate rainbow is no exception! They will have so much fun with this colourful rainbow craft for toddlers. Lots of painting, gluing, and more. 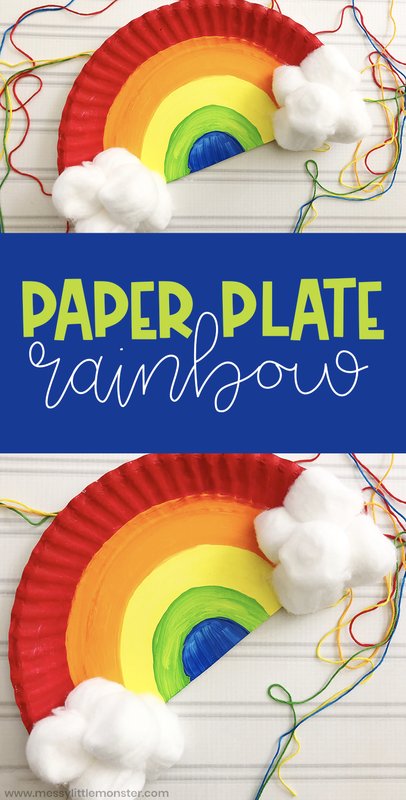 Below you will find step by step directions to make your own paper plate rainbow! If you're looking for more rainbow craft ideas, be sure to check out this paper plate rainbow from tissue paper or this rainbow cork activity! 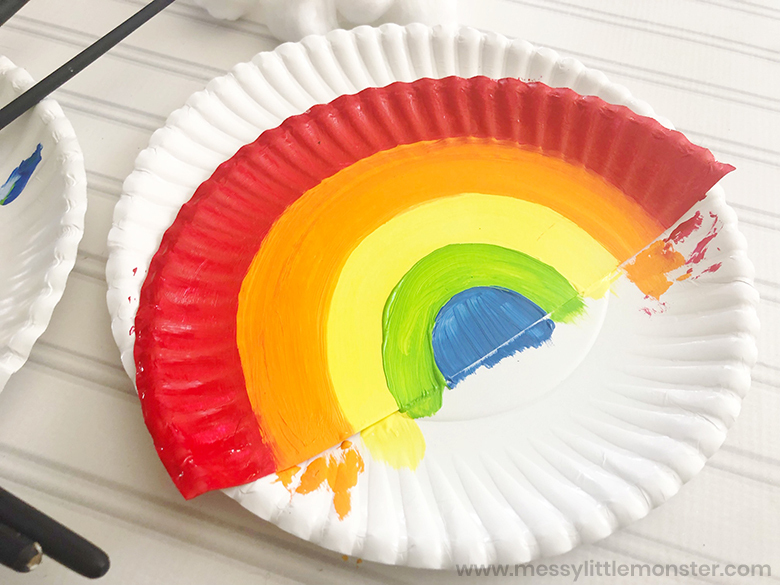 This paper plate rainbow is the PERFECT activity for playdates, toddler groups, classrooms, or even just a fun activity at home. 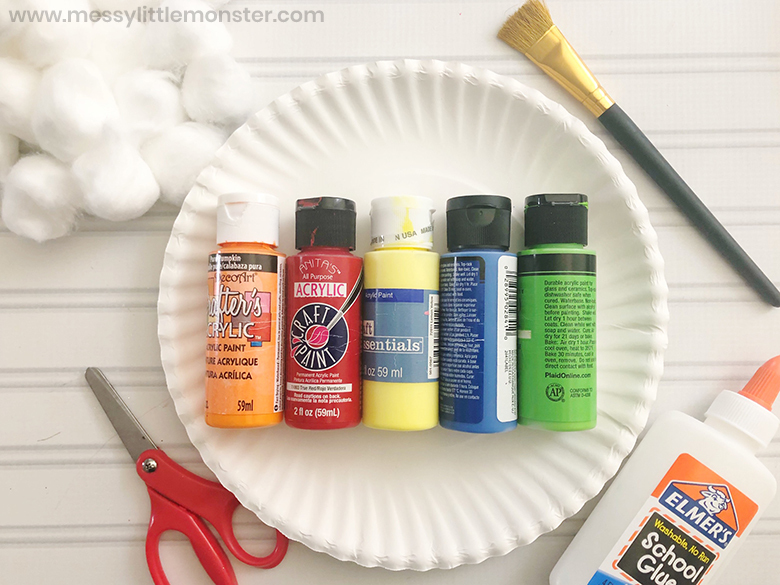 It's such a fun rainbow craft for toddlers and preschoolers that they will LOVE and have so much fun with. 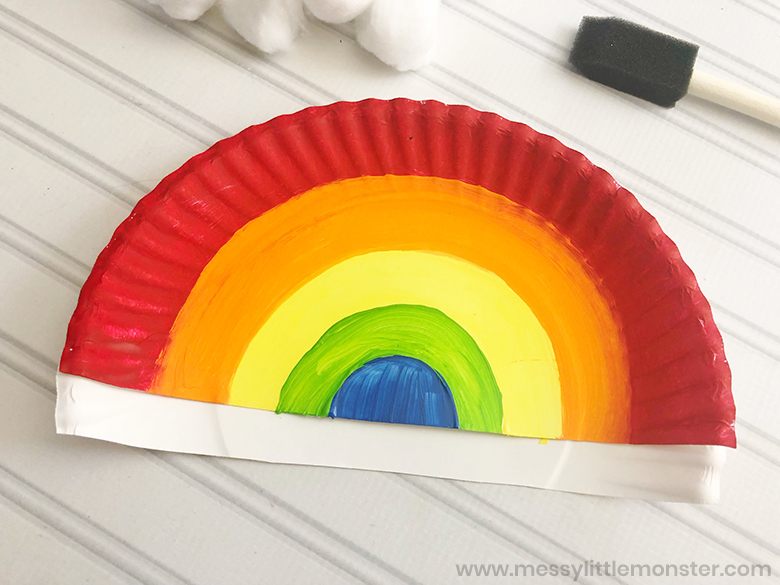 Paper plate crafts are always fun for us and this rainbow may be one of top favourites as it is so simple and colourful!! Before you get started - gather up all your supplies! Toddlers can get pretty antsy quickly and this helps to decrease the chance of that happening before the craft is finished. If your toddler is still at the putting everything in their mouth stage I would advise using non toxic children's paints. You can see our recommended paint in our amazon storefront. To get started, prepare the paper plate by cutting it in half, as shown below. 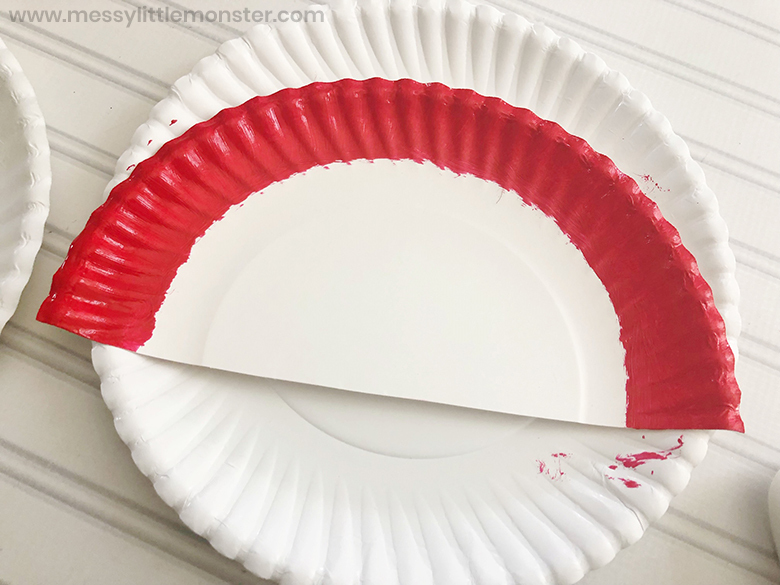 Next, start painting a strip on the outside edge of the paper plate with red paint. Continue with orange, yellow, green, and blue - as shown below. Allow time to dry. Encourage your toddler or preschooler to look at a picture of a rainbow so they can see the shape and colour of a rainbow. 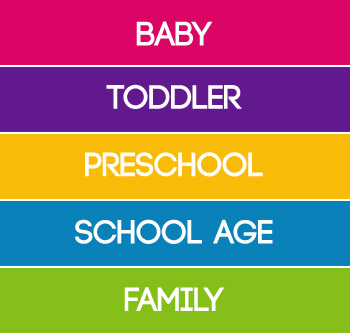 Take this opportunity to help your child develop their colour recognition skills or learn the colours of the rainbow. Once you've done that, cut a 2-inch strip of your scrap paper plate and glue it under the back of your rainbow. 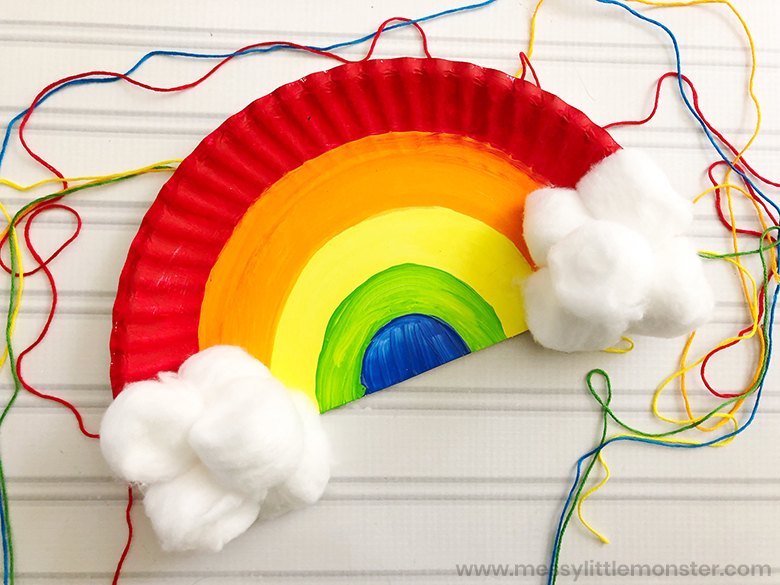 Then, glue cotton balls on the ends of the rainbow and cut off any excess paper plate. 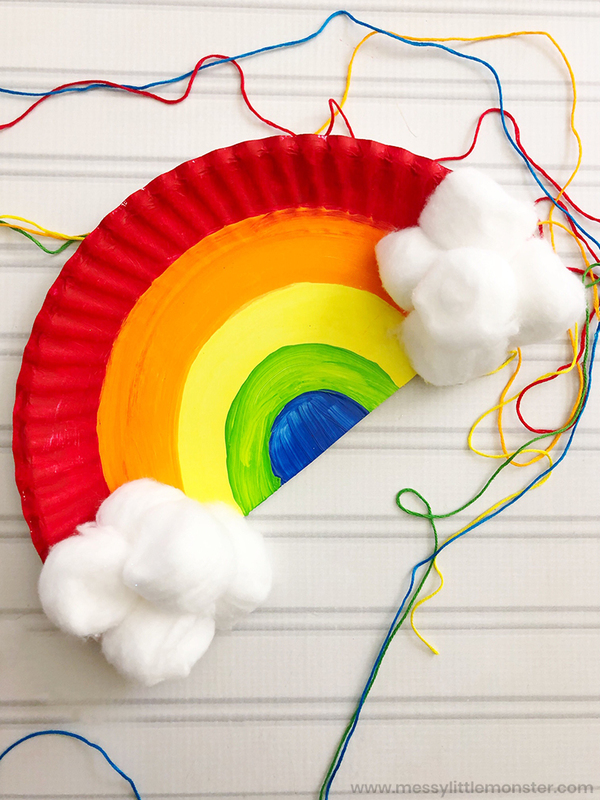 We hope you have a BLAST with this paper plate rainbow!! If you love paper plate crafts, you will have so much fun with this fun and easy paper craft. 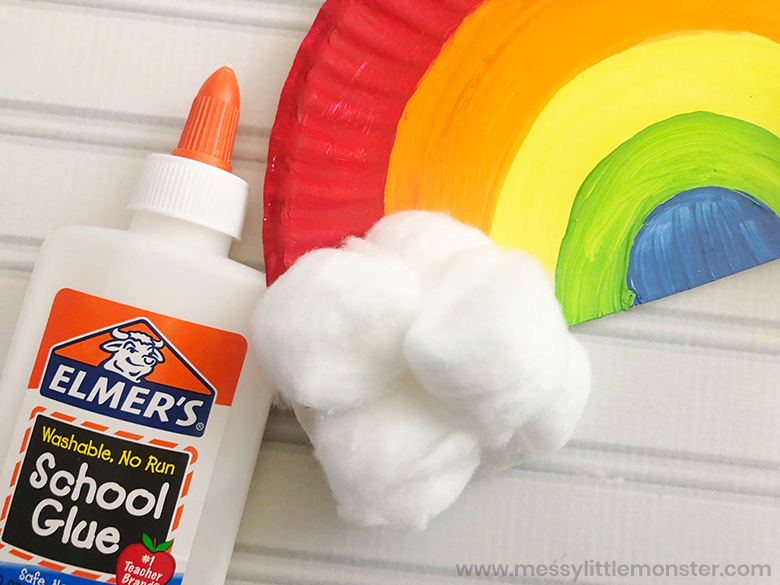 It's the PERFECT rainbow craft for toddlers and preschoolers. They will be begging to do this one again soon!